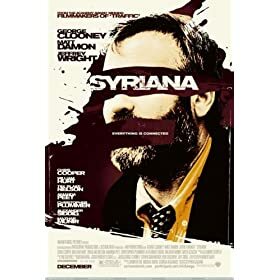 This weekend we saw Syriana and MirrorMask. Both movies were great. Thanks to Indy for telling me more about Syriana. I have to admit I was a little confused by what really happened in the end, well not really, but the exact order of things, and Indy set it straight. I think Indy's going to get the book so that he can tell us what the real story is about, but it sounds interesting. Sounds like Oil is messy. 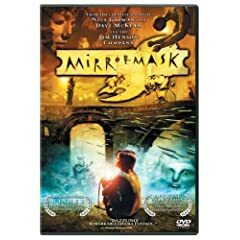 Mirrormask was a real trip. I loved it. The imagination is a wonderful thing. All the beautiful creations of the mind, the fish, the friends, the masks, the giants orbiting, the sphynx... all a bit edgy and wonderful. I wonder who teaches imagination, and whether there are any real ways we can teach people to dream. It was wonderful, and I bet this is a movie that Yams would love. On a related note, Olivier "Twist" Gondry was on campus this weekend. So I remembered that Yams loved the work, and we downloaded the "Around the World Daft Punk Video" so Indy could see it. Michel Gondry is genius. I then introduced Indy to Robert Miles, and I think he hated it because we spent the next 20minutes having it blasted real loud on the lab speakers. Hilarious.